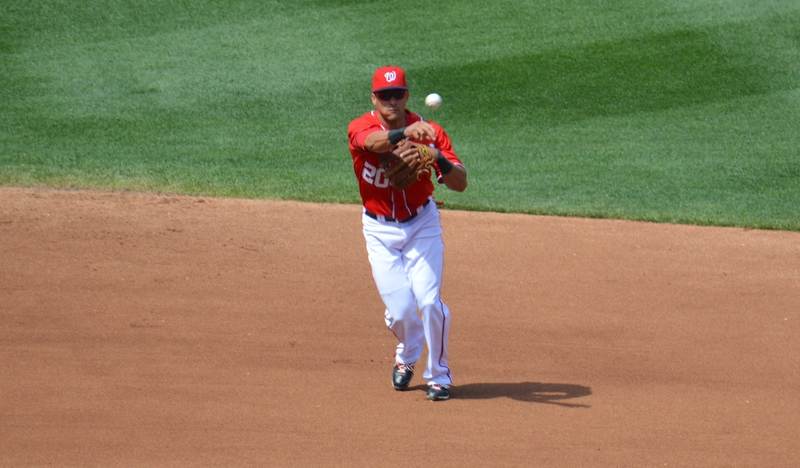 Fast forward to the newest era in competitive baseball in DC and the reigning field general is Ian Desmond. Like Cronin, Desmond is known more for his bat than his glove, though he has become a solid glove man as well. During his breakout season in 1929, Cronin committed 62 errors and still had 30+errors per season during his prime. Desmond has followed a somewhat similar path in his development as a player to be sure, but his glove has played better than Cronin’s. Desmond’s combined WAR for the 2012-2013 seasons (10.0) ranks him best in the NL and his defense is third best for the same period (FanGraphs). He has been the most consistent offensive presence in the lineup during the past few years when players like Ryan Zimmerman, Adam LaRoche and Jayson Werth have been injured. Bryce Harper has put up similar overall numbers, but does not command the middle infield with authority as does Desmond, so it is possible to make a case that Desmond has been the most valuable player who put his cleats on and took the field wearing a “Curly W” every day during this period. Which is why there is considerable dismay among Washington fans concerning the rumors that the Yankees will strongly pursue Desmond as a possible replacement for Derek Jeter when he retires. The Nationals have Desmond locked up until the end of the 2015 season, but he is reported to have turned down a multi-year offer (seven years at $85 million), opting instead for a two year deal that takes him through the end of next season. The lure of the Pinstripes has always been powerful and it is easy to understand Desmond wanting to follow in the footsteps of one of the great shortstops to ever play the game as well as consider the lucrative offer to do so should it materialize. There is no reason to think the Yankees will be shy about spending the money when the time comes. The 2014 Yankees were built the old fashioned way: by shopping for the best talent on the open market and this year they brought in Carlos Beltran, Brian McCann, Jacoby Ellsbury, and Masahiro Tanaka for a cool $75 million. Those contracts blew a gaping hole in any notion that the Steinbrenner family was concerned about paying the luxury tax. No, while the Yankees have committed less than $200 million so far for the 2014 season ($197.5 million to date), Jeter and Ichiro Suzuki come off the books at the end of this year and the rumor mill will become more involved in the subject of Jeter’s long term replacement soon enough and there is no concern that the Steinbrenners will have trouble finding money to replace Jeter with one of the best. With it looking more and more like Desmond is willing to play out the string in DC, he looms as a potential prime target when the discussion begins in earnest. One would rather focus on the 2014 season and the possibility that Desmond could well build on his past two seasons and put up numbers like those of Peckinpaugh, Cronin and Travis that he can make an even more compelling case that he is the best in the league. Could Desmond have a 2014 season that has MVP caliber resonance like that of his predecessors? It is not out of the question and that is why the idea of losing him to the Yankees ix so vexing and most damning of all is whether Desmond having that kind of season in 2014 makes him more or less likely to become a Yankee in the near future. “Damn” and “Yankee” did not appear together in that last sentence accidentally and they were not there to bring to the fore any latent Yankee hating sentiments, quite to the contrary. Derek Jeter is one of the best ballplayers of his era and no one could discuss his replacement except in the most reverential tones. It was more to bring the musical “Damn Yankees” back into the discussion again where it is a natural when discussing the allure of the Yankees and the once long-simmering disdain for them by Washington fans. Someone should order Desmond a copy of the old movie version from Netflix so he can better understand the long frustrations of baseball in the Nation’s capital? Yet rather than some DC fan swearing an oath to the devil that keeps Ian in Washington, it would be better for Desmond to contemplate the long history of baseball in DC, the many great shortstops that have played in THIS town and his ability to build on THAT tradition rather than replace Jeter in the Big Apple. To accomplish that end it will be necessary for the Washington Nationals to go deep into the playoffs this season. Whether they win it all, win the NL pennant or just come close, creating a postseason tradition here in Washington once again would be the best way to whet the appetite for Desmond and leave he and the rest of the team questing for more. 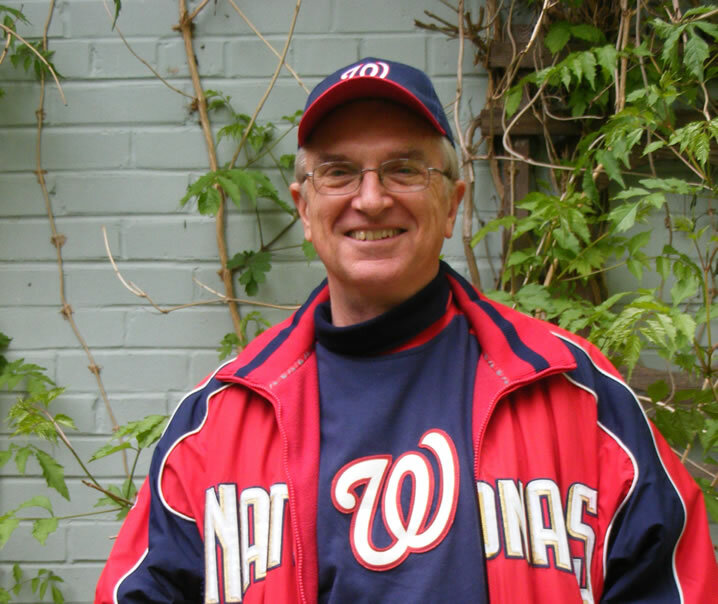 I will put my hopes on besting the Yankees–in whatever the competition–the way those great Nationals teams did years ago: by winning the pennant and going to the World Series. If Desmond, Bryce Harper or Stephen Strasburg can walk away from that, so be it. The game has gotten to be a business in a way it never was back in the olden days and that is fine too. The best thing to do is to play for keeps right now. Let the chips–and the players–fall where they may. The best prescription to send those old frustrations packing is to win it all and keep doing so. **Committed DC fans will invariably want to mention Cecil Travis who posted an MVP type season in 1941, but whose career was cut short by the war and never played on a team that finished higher than third in the American League (1936).